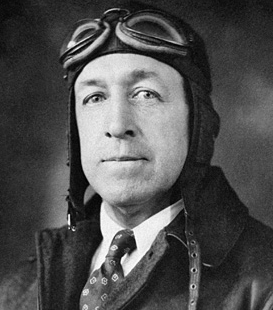 William Wincapaw had been a pioneer in the early days of aviation and was well known around the Penobscot Bay area of Maine as a skilled and pilot. He flew mail, medicine, and supplies to remote coastal communities. He also flew sick and injured people to safety or to get medical help, often in bad weather. Captain Wincapaw knew the lives of the lighthouse keepers and their families were hard, lonely and monotonous. So in 1929 on Christmas Day, he loaded his plane with a dozen packages of food, sundries, and other supplies and took off into the air. One-by-one, he dropped the packages to the lighthouse keepers. The Flying Santa flights have continued uninterrupted since 1929.